Center Court: The Holidays are Here for a Limited Time Only – And So Are These PREIT Experiences! It’s that time of year again: as 2018 comes to a close, people across the country are celebrating the winter holidays with friends and family. The holidays are one of the most special times of the year, and while it may feel like they come and go quickly, the memories made during this time last forever. This season, shoppers can make new memories with loved ones at unique, limited-time experiences across PREIT properties. Our malls are getting into the holiday spirit with a variety of pop-up shops and special events that will give shoppers an opportunity to experience something new – and only during the holiday season! A beloved Christmas tradition is picking out the perfect tree. Balsam Hill, a pop-up at the Cherry Hill Mall, makes finding the most realistic artificial Christmas tree, wreath or garland a breeze. Its stunningly realistic effect is a result of its True Needle™ technology, which uses individually molded bi-colored plastic needles; and by basing its trees on natural evergreen species, providing a gorgeous, true-to-life texture, silhouette and coloring. Stop by to pick up a new and beautiful addition to your holiday décor! 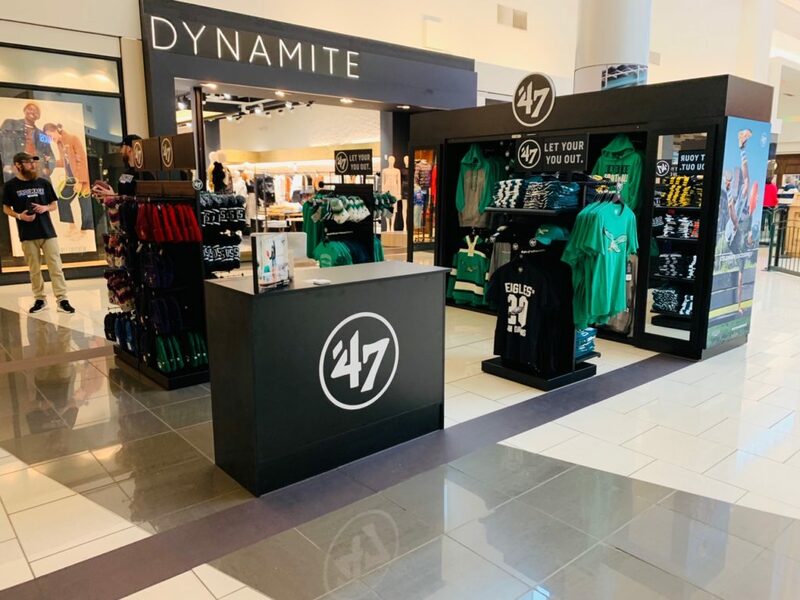 No matter how die-hard the fan, the 47 Brand pop-up shop at the Cherry Hill Mall has every gift he or she could want! From winter hats to vintage jerseys, Sundays just got a whole lot more stylish. Even though it’s an incredibly fun time of year, the holiday season is also busy and can be stressful. 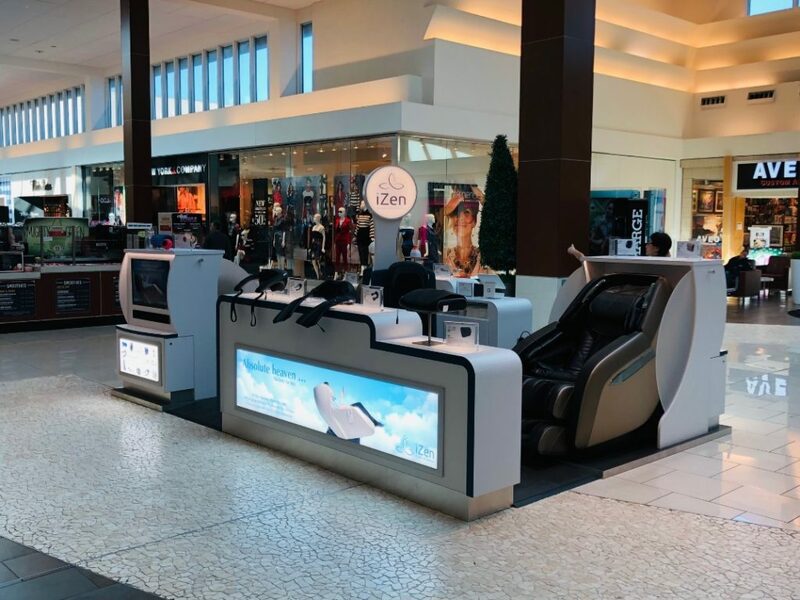 Innovative Vending Solutions recently opened its first iZen massage kiosk at the Cherry Hill Mall. Visitors can try a variety of massage chairs and neck and shoulder massagers, and can even purchase one to take home! After a long day of shopping, there’s nothing more relaxing than a glass of wine. Cue Chaddsford Winery, who will be popping up in our Fountain Court at Plymouth Meeting Mall, on December 15 and December 22. Visitors can enjoy Chaddsford’s seasonal specialties and warm mulled wines, along with a selection of PA craft beer. Look forward to delicious mugs of warm Spiced Apple wine – a tart and sweet blend of pressed local apples – as well as Holiday Spirit wine – a sweet, spiced “Glühwein” with flavors of cinnamon and clove. Additional dry and sweet wines from Chaddsford’s portfolio will be available for purchase by the glass and bottle. In addition to the Chaddsford Winery Holiday Pop-Up, families can join us in Fountain Court for fun and games with the Grinch from 12pm-3pm! Saint Nick is back for his annual appearance at all PREIT malls. Shoppers can simplify their Santa experience with a Santa Photo Fast Pass, shortening the wait time by reserving your spot in advance to minimize stress and maximize shopping, hopefully leaving additional time for fun. The Moorestown Mall is also hosting one of 2018’s biggest holiday stars – the Grinch! Fresh off the big screen, the Grinch will be holding a game night on Friday, December 14 from 6:00 p.m. to 9:00 p.m. There will be Holiday Trivia in the Dining Court and a game area in the HomeSense Court, including holiday board games, holiday corn hole, giant Jenga, card games and more! And if you’re looking for a one-of-a-kind experience with a nostalgic twist, visit Santa in the iconic “A Christmas Story” set at Cherry Hill Mall, equipped with the slide and the infamous leg lamp. To make a reservation, click here! For more details on holiday events and opening hours, please visit individual mall websites. A full list of our properties can be found at https://www.preit.com/properties/mall-portfolio/. Please contact us to learn more about our company or properties.